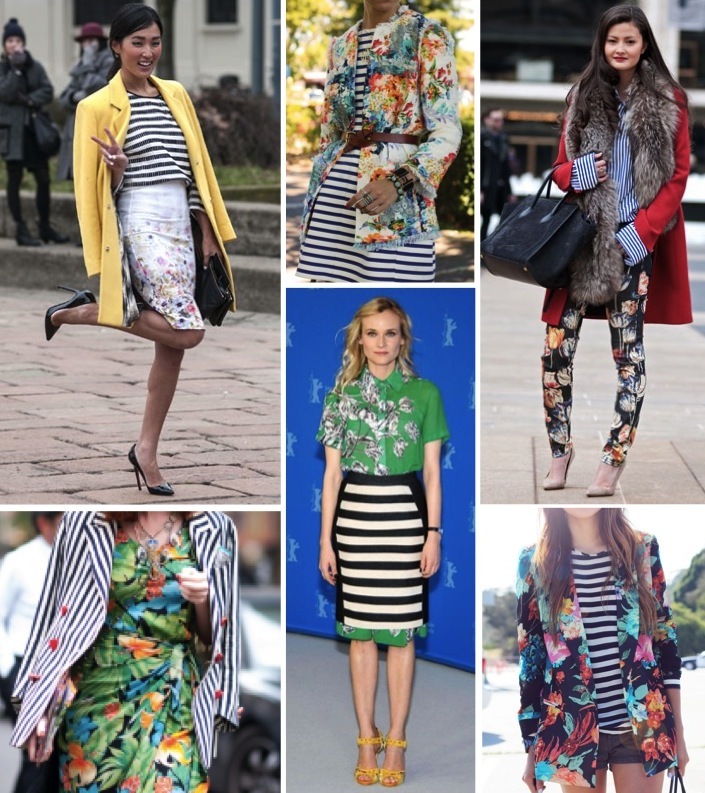 One of the big trends for Spring 2013 is mixing patterns, and my favorite patterns to play with at the moment are stripes and florals. From actresses to style bloggers, the look has been seen making a strong statement around the web. 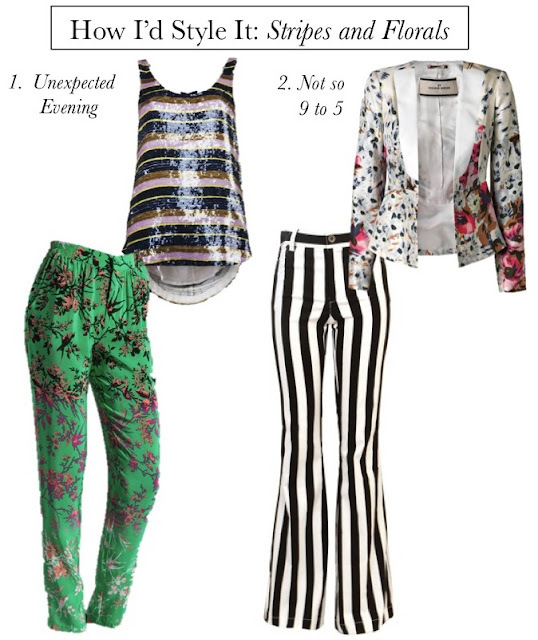 To make a dramatic impact keep striped clothing black and white so the colors in the floral print you're wearing can pop. There is no denying the fact that I'm a pants girl 87% of the time - so of course when thinking about how I would style the trend I went directly to the printed pants sections of online stores. Black and white striped pants are a spring staple this year and when mixed with either a floral blazer or a floral print flat, they take on a fashion insider kind of look. Also hard to resist is an oh so comfy yet uber chic silk pajama-esque pant in a pattern of your liking. EEEKKK!!! I cannot wait for spring to get here so I can start mixing these patterns more! How gorgeous does Diane Kruger look in her mixed patterns?!? This is one if my favorite trends! L-o-v-e that floral blouse that Blair is rocking. Gorgeous! Love the SUno top...I agree that this look is perfection. Love this combo. Always reminds me of summer & vacations. Love the floral trend with the stripe. I love love the idea of stripes and florals together. two classic prints in one look? Im game! I dig the clothing options you selected too! Love that combo, I love to play with them. love a good mix of prints! Yeaaahhhh I'm all about mixing prints! Hadn;t even thought of this combo but I'm loving it! Don't forget to enter my AMAZING Koret Clutch Giveaway happening NOW! Today is the last day to enter! Wow! I am so looking forward to playing around with these prints together...Thanks for these inspiring street style photos!! This is a really nice and colorful post :). Great post! Stripes look so good with just about any print, but they look so springtime-y with flowers. Love this!